Make Your Christmas That Extra Bit Awesome With Butchershop! 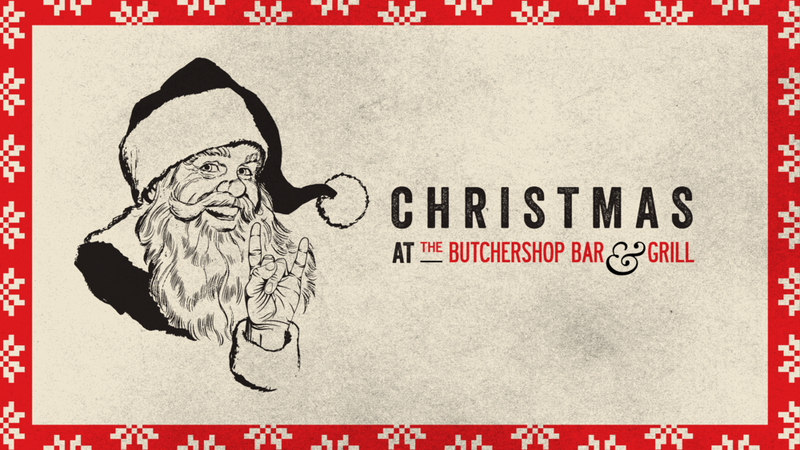 Here at The Butchershop Bar & Grill this December, you can expect the most awesome festive experience. Whether you've been naughty or nice this year, we have the ideal menus for any true meat aficionado! 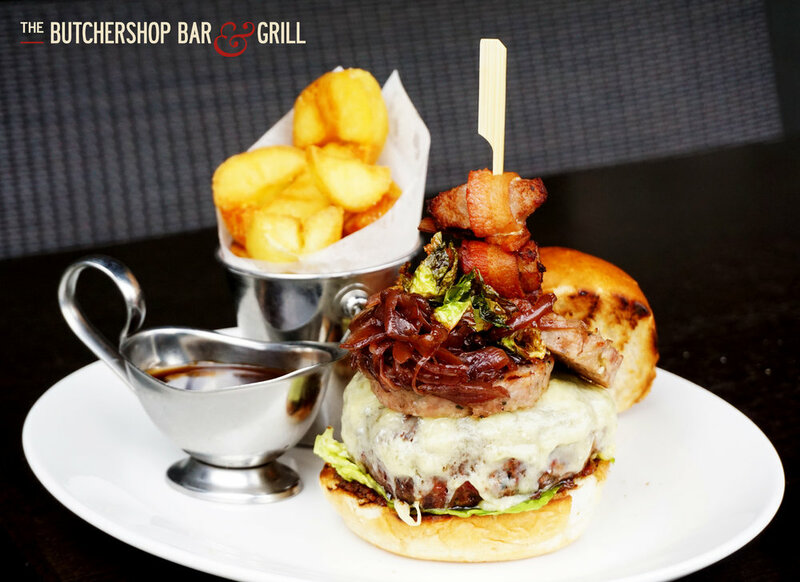 Our insanely delicious Butchershop Christmas Burger is piled high with sage and onion stuffing, bacon jam, port cranberry onions, crispy sprout tops and mull cheddar. Topping it all off with some pigs in blankets, it truly is the meatiest Christmas dish in Glasgow! Served with classic roast potatoes and turkey gravy, this outrageous burger is sure to be a huge hit and is not to be missed. If you tend to opt for a more classic dish, then have no fear, our succulent Roast Turkey is accompanied by delicious sage & onion stuffing and all your favourite trimmings. Pour on some of our gravy and you'll have an awesome yet traditional meal. © The butchershop bar & grill 2018. All Rights Reserved.